As the family grows, the need to have a bigger space also arises. It is imperative to use bright ideas to either create something new or renovate the existing to build a multifunctional home for your family. Many families are now opting for large multifunctional spaces with more room for movement. Be it the extended living room space, dining space or a guest room, multifunctional spaces has a lot to offer. The concept of multifunctional spaces varies from one part of the world to another. 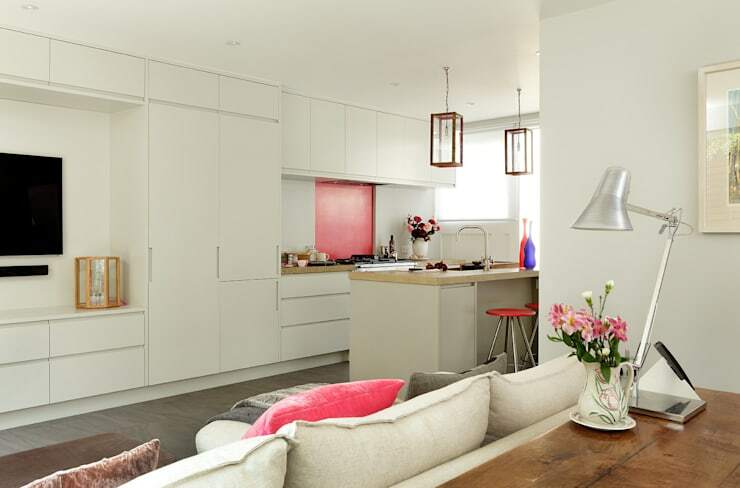 With the advent of studio apartments, open plans have gained immense popularity. Do not worry if you are running short of space and living in a cozy set up. Multifunctional spaces can be created without much difficulty through proper planning. Follow these simple yet practical tips that offer a perspective on large windows and multifunctional spaces. It is time to pull your creative hats! Well, who would say ‘No’ to some open space with a lot of privacy? That is exactly why a house with a garden can steal the show. However, if you already live in an apartment consider turning your balcony into a part of your living room. If you have a larger budget, you may consider the option of finding an independent house with a garden. A little piece of green is perfect for a social camaraderie! It is a treat to watch when you open the curtains of your window to a beautiful garden, the splash of colours, and the mind blasting emerald. If you are a lover of nature, this is definitely the idea you can go with. When you are in the process of constructing or renovating your home, remember to use minimal internal walls in the living area. The living area is the perfect place to grab that cup of coffee after a tired day at work and relax. Have a lot of large windows that provide excellent views of the surrounding landscape. They also ensure that you get a lot of sunlight in the living room thus making the room look brighter. A minimal internal wall uplifts the appearance of the entire living room and makes it look spacious. Make use of pillars to provide structure and ensure that they do not intrude upon space. Cover them with the same colour as the rest of the room so that the outcome is even. Be careful when choosing the living room color and opt for neutral shades. Lighting is also pivotal when creating this space without borders. Do not hesitate to make some investments for this piece of multifunctional space. First impressions definitely count a lot! 1. How close is the cooking space located from natural light? 2. Is there a proper ventilation mechanism for smoke and dust? 3. Is the dining area located nearby? 4. Is it a pet-friendly and a child-friendly place? 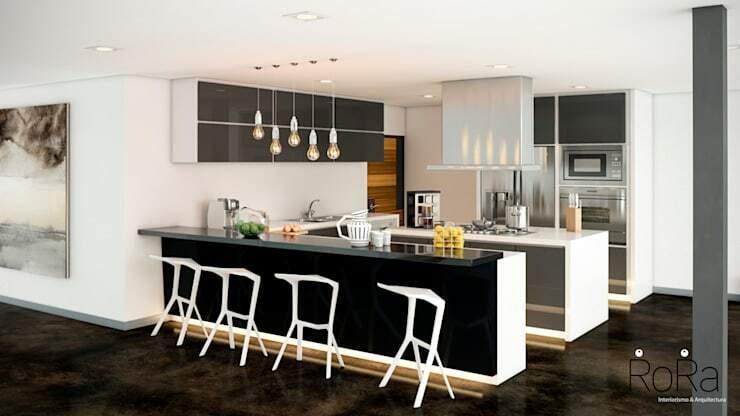 If the answer to all the above questions is a ‘Yes’, then go ahead with the open space planned in the kitchen. 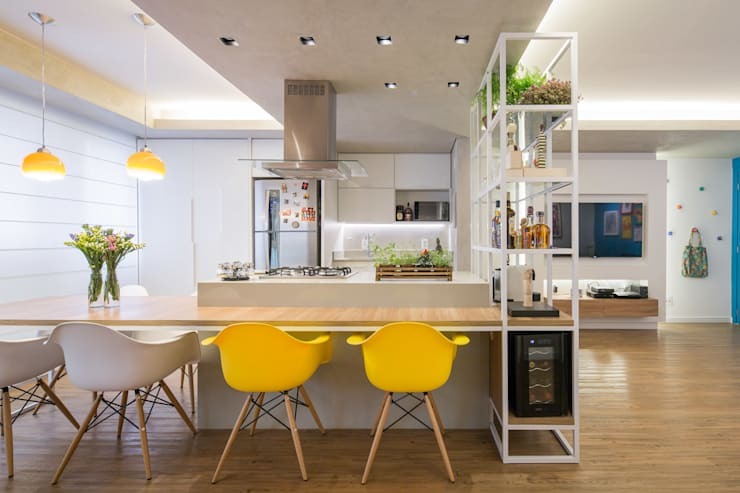 With the new age and new thinking, architects have been able to plan wider, and brighter eating spaces within a house. Say for example a dining area, living room and the kitchen combined into one big hall. Now that is definitely a huge space for multi-purpose use. You can consider this option of integrating the dining space with the living room if you love to be cozy yet impersonal. Hygiene is an important aspect to be considered when planning this as you may have guests in the living room. Now this space must always be clutter and dust free. If you have a small house, it is a good idea to integrate all the three important spaces into a big hall. 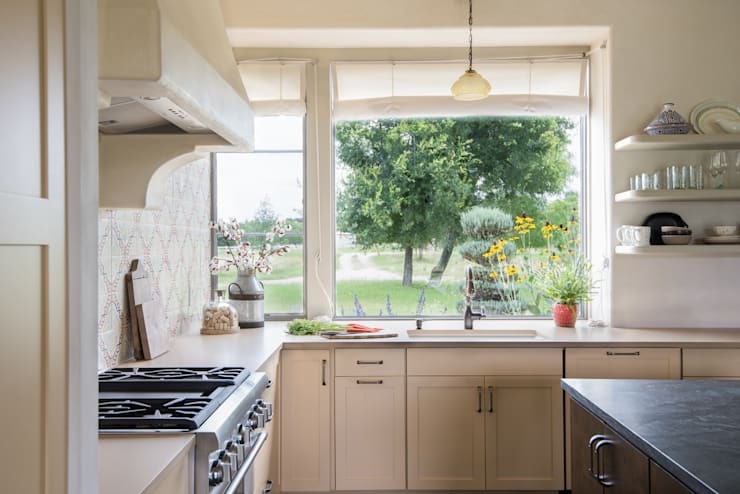 If your home rests within a green bubble, or with a wonderful view of sky blue outside, you can consider placing large windows to get a good surrounding view while having your meal! Checkout the multi functional design created by Mexico-based La Rora Interiorismo & Arquitectura. Too many friends, too much to talk about, a lot going on at once… this is when an open lounge area comes into use. Having an open space for chatting is a cool idea especially if you are the laid back and the relaxed type of person. When you are busy preparing meals for your family and have a lot of guests coming over, this space can be put to good use. You can strike a conversation with the guests and at the same time cook up a meal by having this open space. Place some trendy furniture and decorate the space with plants and some colorful cushions. Viola! Your open chatting space is ready. It is always good to be connected with nature. Nature helps us draw inspiration and helps us relax. Enjoying the beauty of nature can help you de-stress. Create a connection between the open space that you have beautifully designed and the garden. You can install large glass paned windows in the open space to admire the green! Never hesitate to make an investment in interior landscaping and gardens. If you are living in a warm area, use curtains or blinds to prevent the light during the day. Also, opt for potted plants that absorb moisture and help to maintain the room temperature. Enjoy the luxury of being close to nature all day with this setup. With these basic principles, get ready to create the open multi-functional space that you have always dreamt about. 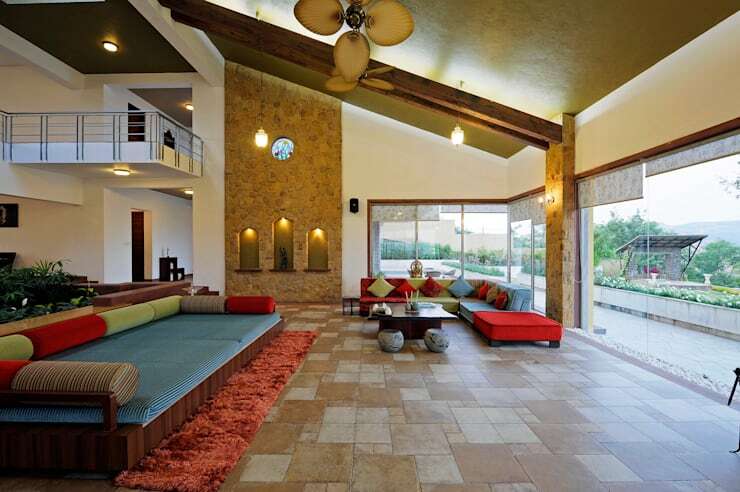 With large glass windows and a lot of multi-functional open space, your home would be the perfect abode! 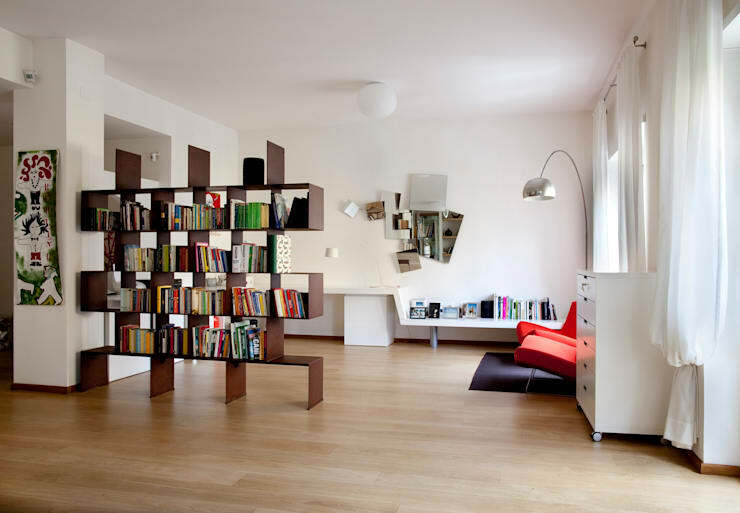 Read Your living room can become a multi-functional space to get more ideas on easy and multi-functional interiors.